A Humanities Startup Workshop run by the University of Newcastle’s Centre for 21st Century Humanities in conjunction with Slingshot has assisted in the creation of an ethical consultancy business dedicated to empowering and supporting Asset Based Community Development in Indonesia to alleviate the detrimental effects of the tourism industry, namely water depletion, pollution and land rights. Melissa McCabe founded Corethics Consultancy after attending the workshop in October 2016 where she pitched her idea for the ethical consultancy. Her idea was one of four to be awarded $5000 funding to help get the idea off the ground. Melissa is working towards enhancing relationships within community, business and government under the premise of an agreement toward mutually beneficial goals to resolve issues such as water pollution. The organisations will then receive Corethics certification so that tourists know that they’re working with the community in a positive way. Melissa will soon be heading to Indonesia as part of the research and pilot process. She will conduct a series of interviews across community, business and government to begin to identify strengths, connections, solutions and blockages identified by the parties. “I’ll be asking the community what they see as the major problems in their area. I’ll also be assessing the existing skills and strengths within the community. My aim is to give a platform to locals to drive community led solutions through harnessing existing assets within society (business and government and community),” Melissa said. She will spend 6 weeks doing research in Bali, Lombok and Sumbawa. 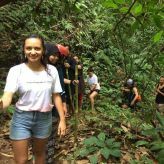 Having studied Indonesian as part of her degree major, Melissa has spent considerable time in the tropical country and looks forward to being able to support the locals. 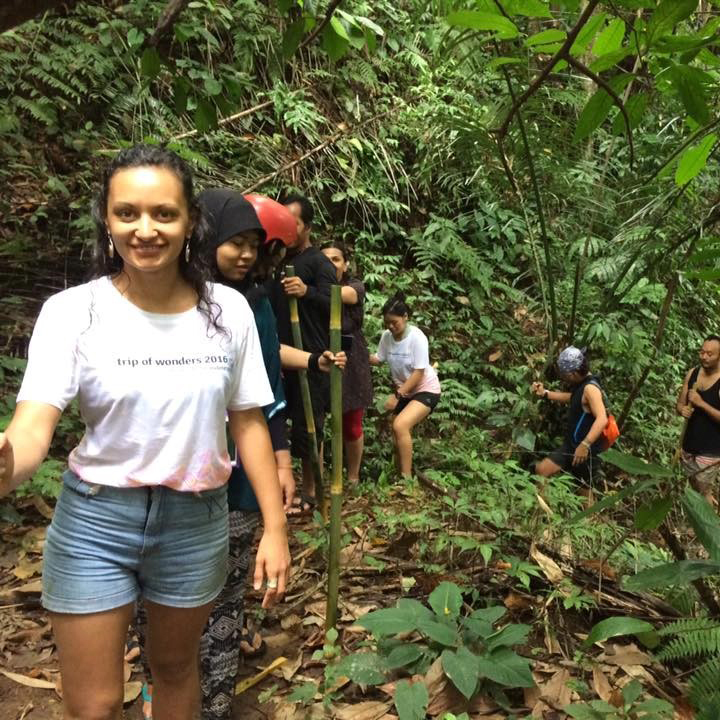 “Indonesia has a big place in my heart, so it will be great to give back to a place that has given me so much joy,” Melissa said. Workshop judge and Deputy Director of the Centre for 21st Century Humanities Associate Professor Ros Smith said Melissa’s start up is a great example of how the humanities can make an impact on modern society for the better. “We liked Melissa’s idea because we could see it being a viable commercial entity that will deliver real results to the communities of Indonesia. Her business brings together humanities knowledge with business ideas and the reach and leverage of digital tools and platforms,” Ros said.